This Post is about the top Four Freeware alternatives to the most famous Compression tools winzip and Winrar.The tools we are going to discuss are 7-Zip,JZip,PeaZip and AlZip . Lets see the complete Feature List and there reviews. 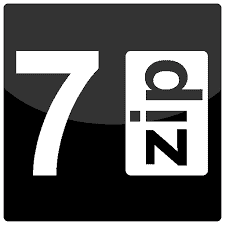 7-Zip is a file archiver with a high compression ratio.This is One of the most popular freeware application that works with compressed files. NTFS, RAR, RPM, SquashFS, UDF, VHD, WIM, XAR and Z.
jZip is the newest program in this category and is designed to help you to easily create archives and extract the files from compressed files. The application is 100% freeware so you can use it at home or in an enterprise environment with absolutely no strings attached. PeaZip sports a more familiar Windows Explorer like interface and has shortcuts to all your frequently used folders like Documents, Downloads, Desktop, etc. It can compress files in all the popular archive formats including GZip and BZip2 (bz2). You may choose to TAR your files before compression (like .tar.gz) further reducing the archive size. This the one of best alternative for Winzip and Winrar.If you’re looking for tool that can handle many compression methods, from RAR and ZIP to TAR and TGZ and nearly 30 other formats, ALZip just might be the tool for you. In fact, archive format support is ALZip’s forte. It’ll even open ISO and other CD images. All the usual archive application options are here, as well: context menu additions, password protections, virus scanner integration, and assistance in creating self-extracting archives.